I'm trying to locate the DVD files I downloaded from the 2015-2016 kickstarter Better Wood Heat but I have so many on my HD that it is not easy to locate them. Would someone be so kind as to tell me the filename of one of the DVD downloads so I can search more efficiently? paul wheaton wrote: For $40 and up I added a destination for "Virgin Islands" that has $0 in shipping. If you select that, then I will treat it as "I don't want stuff shipped to me." For now: does that work? Please test and tell me. The issue is with the links or maybe cookies? When I try to access various free things as listed, instead I get the option to buy, even though I started from a page which stated that I had Pie (Nicole Alderman granted me a slice). It shows up as needing me to either to buy it using moolah or 5 pieces of pie. paul wheaton wrote: I can add more rewards, but to duplicate all of the rewards so that they have a non-shipping option seems like too much. What do we have, that is a $20 to $30 value that you don't have? Yeah, that would be too much work to duplicate all the existing rewards. I wish there was an option to support at the $40 level without getting a physical DVD so I could get all those goodies but no shipping costs. I don't know if Kickstarter allows the addition of a new option this late in the game. 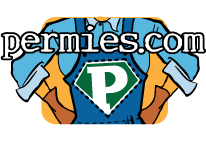 You get access to more free stuff, plus vendor discounts, plus superpowers on permies. Also, if you see somebody has writtend a really great post (maybe answered a question for you) you can give them a piece of your pie. One of the coolest things (I think) is that you can give two thumbs up and you also get a thumbs down button. Each piece of pie lasts 30 days. Although I think that if you give somebody your last piece of pie on day 29, rather than receiving a piece of pie with just one day on it, they get a full 30 days. Thanks for the quick reply. I've checked out the details and I am sure these are great bonuses for people who spend enough time online to take advantage of them (the superpowers on Permies.com) or who have not already bought the videos offered with a discount. Unfortunately, I am in the process of reducing my online time so I spend more time working on the homestead and have many of the offered videos already so pie is not so attractive to me.